Interested in a winter sports holiday where you do something productive with your mornings? Or a language study trip where you can really unwind in the afternoons? 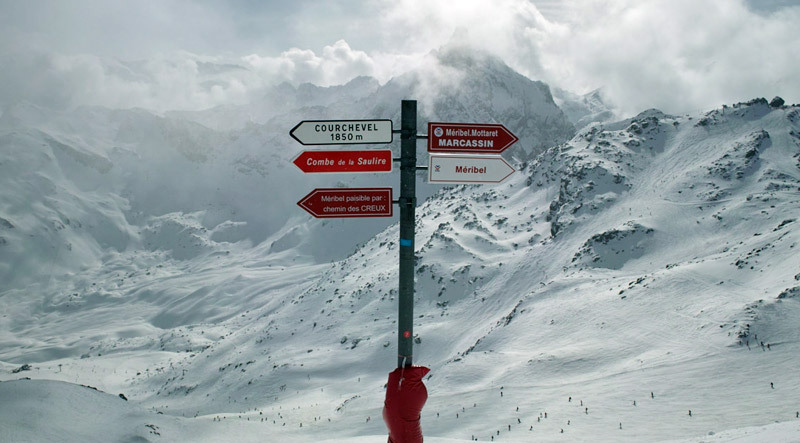 A language course combined with skiing or snowboarding may be just what you are looking for. Whether you are an alpine novice or dedicated powderhound, our programmes offer an enticing mix of study and snow sports. At ESL we firmly believe that a language study trip should include much more than language study. That’s why we offer a range of Language PLUS courses, where language lessons are balanced with local activities, for example cooking, dance, yoga, film-making, surfing or sport. Depending on the exact course and location, you will spend between three and five afternoons per week enjoying an activity that is closely associated with your destination.. But even if you don’t want to commit to a specialised course, we offer language study trips to some of the world’s top winter sports regions. What’s more, some of our other destinations – which are not necessarily renowned for skiing or snowboarding – are surprisingly close to the slopes, so you can easily head into the mountains for the weekend and be back in time for class on Monday. 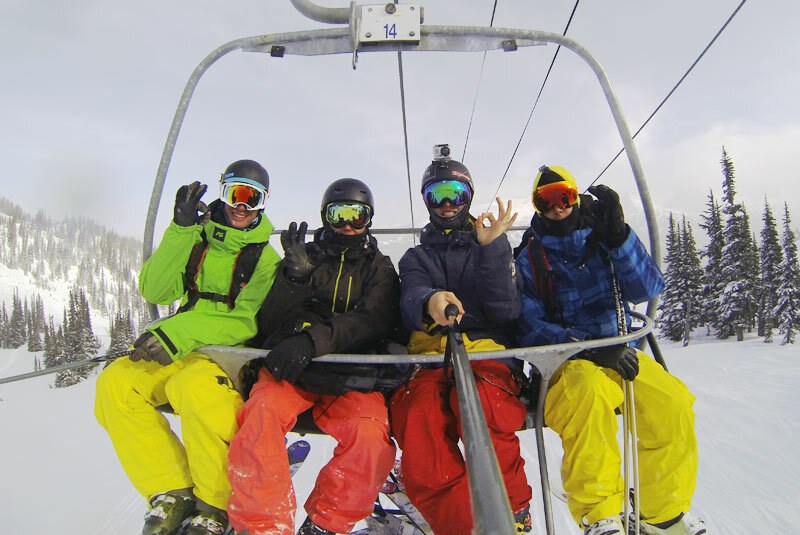 Read on for our top tips for a language course combined with ski or snowboarding. Whistler Blackcomb is one of the world’s top skiing destinations and offers more than 252km of marked pistes, ranging from beginner to extremely challenging. If you are more experienced on the snow, there are many opportunities to enjoy the famously fluffy off-piste powder. Our partner school in the heart of Whistler village is just a minute’s walk from the lifts. You can leave your equipment at the school during class and then head straight out onto the mountains! As well as standard English courses, we offer Ski & Snowboard Camp at the school. The camp includes accommodation, luxury facilities, half days of skiing or snowboarding classes from Monday to Friday and much, much more. Check it out here. If you like the sound of Whistler but would rather stay in a city, Vancouver is just 125km south of the resort and offers all of the advantages of urban life, including excellent restaurants, shops and nightlife. Or how about two weeks in the city followed by two weeks in the mountains? With ESL, you can easily combine the two. 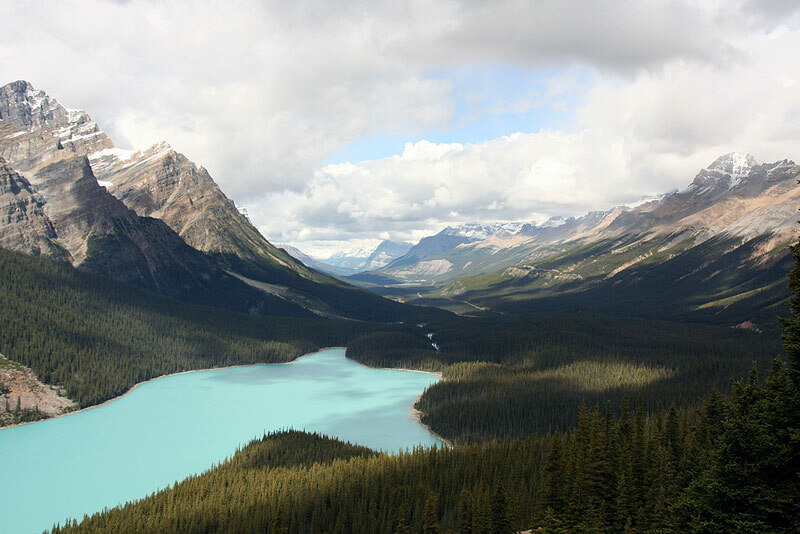 Canmore may not have the immediate name recognition of Whistler, but you have probably heard of the resorts that lie nearby: Lake Louise, Banff Sunshine Village, Banff Mount Norquay and Nakiska are all within easy reach. There are some gorgeous hot springs nearby too! We offer an English PLUS Ski/Snowboard course with our partner school in Canmore, including daily language tuition and 3 afternoons per week on the pistes. Shuttle bus and lift tickets are included; you can rent equipment locally. 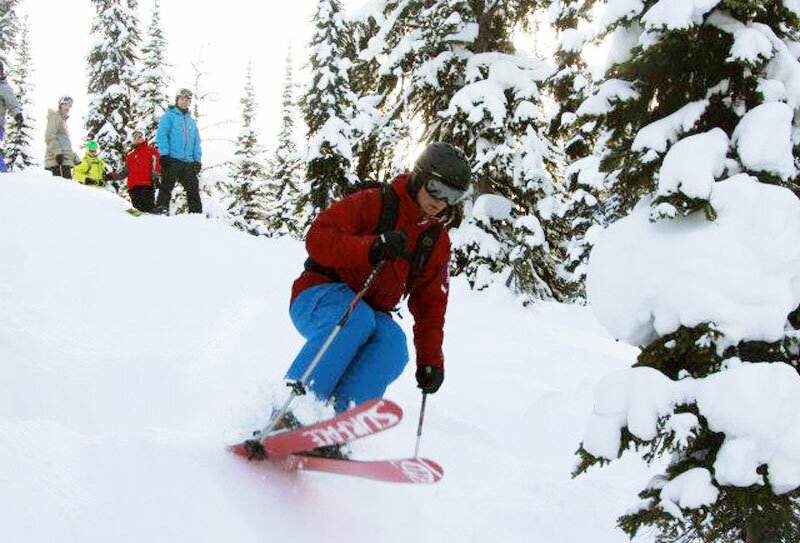 The resorts have some of the finest runs in North America and there is something for all levels. Nearby Calgary offers another urban alternative. One of our US destinations stands out for winter sports: Denver is a short hop from the Rocky Mountains and numerous world-class resorts. Keystone, Vail, Breckenridge, Aspen and Beaver Creek are all within 2 hours’ drive from the city, making them ideal for a weekend on the pistes. 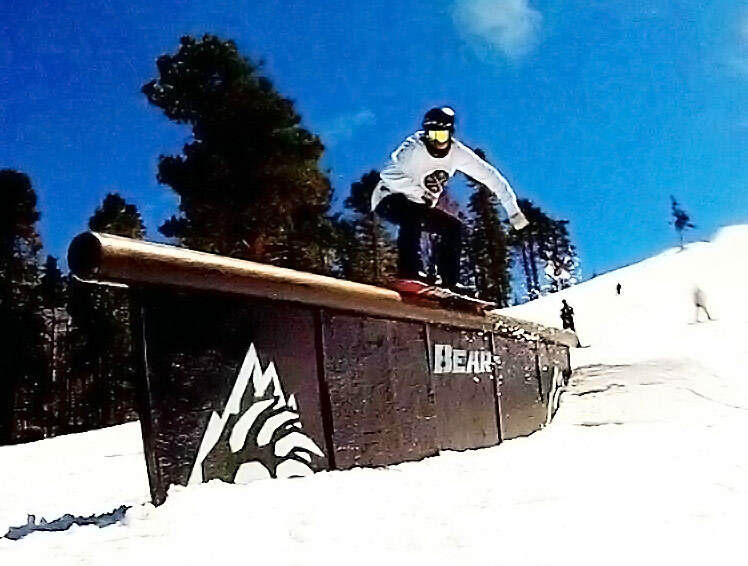 And while you would probably associate Los Angeles more with surfing than snowboarding, Bear Mountain is within easy reach (around 2 hours’ drive from Downtown) and offers an impressive park for experienced riders… or fearless beginners. Another destination where we offer a dedicated English PLUS Ski/Snowboard course, Queenstown in New Zealand sits on the edge of Lake Wakatipu, surrounded by the mountain peaks that formed the backdrop for the Lord of the Rings films. In the summertime, this is the place to go for extreme sports including bungee jumping, whitewater rafting, skydiving and canyon swinging. The winter months are perfect for ski and snowboarding. Check out 10 things to do in Queenstown here. 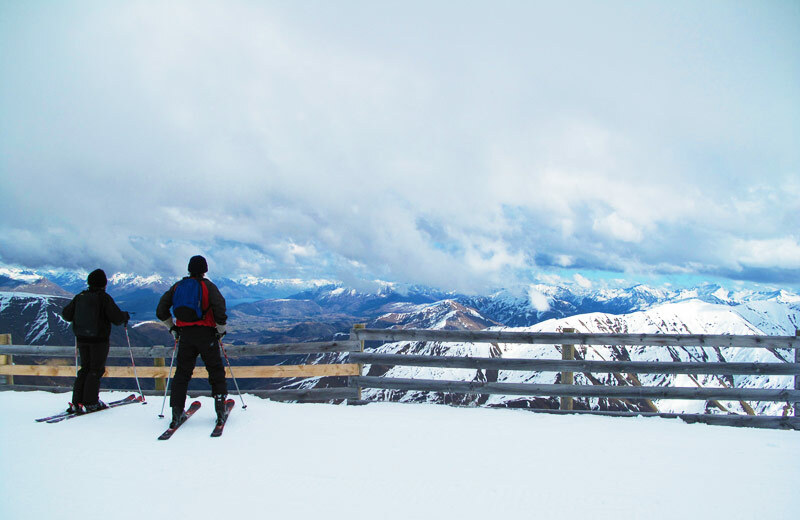 With easy access to Coronet Peak, the Remarkables and Cardrona Alpine Resort, this is a natural place to come for an English course with added pow pow. On the English PLUS Ski/Snowboard programme, language courses take place in the morning and you hit the snow from 13:00-16:00, five days a week. Or how about an English course with ski/snowboarding in Australia? Or India? Australia: land of coastline, kangaroos and… winter sports. Wait, really? You may not expect it in a country that is one of the world’s warmest, but you can find some decent skiing within reach of Sydney or Melbourne. Remember, “within reach” takes on a different meaning in Australia – the NSW ski fields (including Thredbo and Perisher ski resorts) are approximately five hours easy drive from Sydney, while Victoria’s ski resorts can be reached from Melbourne in three to five hours. If all of this talk of “pistes” and “resorts” makes you long for something a bit less structured, an English course in New Delhi puts you within range of Jammu and Kashmir or Himachal Pradesh. Gulmarg is India’s best-known ski destination and offers a mix of Indian culture and great snow, known locally as “curry powder”. Andorra is just 200km from Barcelona, making it an easy weekend excursion from the city. Other popular ski areas in the Pyrenees include Baqueira Beret, Masella and La Molina, with peaks at over 2,500m. Just another reason to visit one of the world’s most exciting cities. Meanwhile, in Argentina, a surprisingly comfortable overnight bus (quite possibly with an onboard game of bingo) from Buenos Aires will take you to the Andes, where Bariloche is the most popular resort. It offers an intriguing slice of Alpine life in the heart of South America’s cone. If you ever find yourself watching ski racing on the TV, chances are Austria, Germany and Switzerland are well represented among the competitors. This is no coincidence. The Alps are the spiritual home of winter sports and offer an incredible selection of resorts. From Munich, for example, Garmisch Partenkirchen, Kitzbühel, SkiWelt Wilder Kaiser, Fieberbrunn, Seefeld, the Zillertal and Innsbruck’s Olympic ski resorts are all easily within 2 hours by car. Nearby Salzburg has access to another excellent array of resorts, the most popular being Ski Amadé, named after local boy Mozart. Be sure to sample his balls when you are in town. The peaks around Freiburg may be less spectacular than those of the “proper” Alps, but the Bergwelt Südschwarzwald has plenty of slopes that offer beautiful winter views out across the Black Forest. 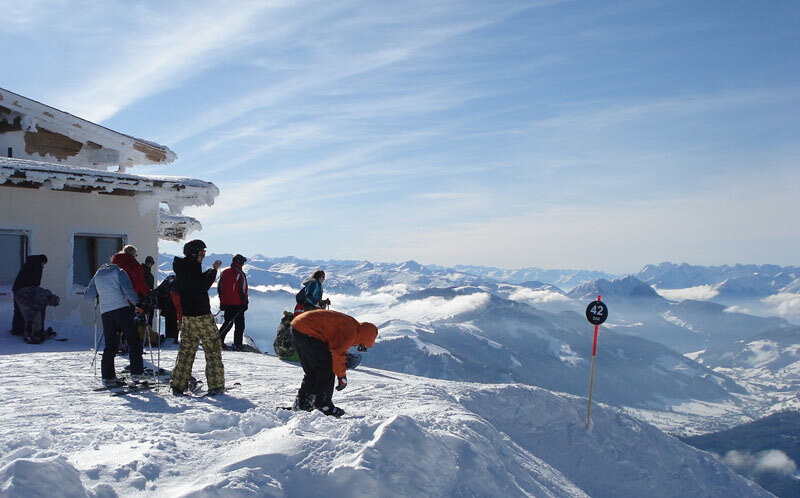 Zürich has various ski resorts nearby, including Beckenried-Klewenalp, Flumserberg, Laax and Andermatt. A train also runs directly from Zürich Hauptbahnhof to Saint Anton am Arlberg, taking around 2 hours. Lyon is famous as France’s culinary capital but it is also within reach of the French Alps. Les 3 valleés is less than 200km away, making Courchevel, Méribel and Val Thorens realistic weekend destinations during a French course. At the foot of Mont Blanc, Chamonix offers the best of the mountains throughout the year. On France’s Riviera, Nice is close to Isola 2000, Auron and Valberg; despite the famously mild climate by the coast, the resorts are high enough to offer excellent snow during the winter months. Meanwhile the Pyrenees resorts are within reach of Biarritz on France’s Atlantic coast, including Gourette and La Pierre St Martin. From ESL’s head office in Montreux, we have an amazing view out over Lake Geneva towards the Alps. It’s little wonder many of our staff and students head up into the mountains every weekend during the winter for skiing, snowboarding and the occasional fondue! The most popular local resorts include Les Diablerets, Leysin and Les Portes du Soleil, but Verbier is just an hour away. Italy’s mountainous north has many excellent ski resorts and some of the finest can be reached within two hours from Verona. The mountains around nearby Lake Garda are famous for climbing and hiking in the summertime, while the winter months offer some intriguing ski/snowboard possibilities, including Asiago (famous for its cheese) and Altopiano della Paganella. Are the Italians the world’s best-dressed skiers? 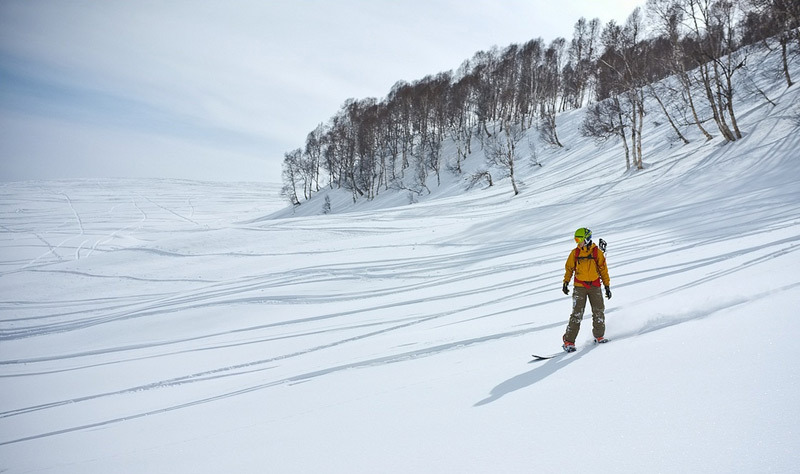 There are more than 500 resorts in Japan alone and the quality of powder is legendary. Korea also has a surprising array of resorts throughout the snowy Gangwon-do region. And Russia is enjoying a winter sports boom with the attention brought by the Winter Olympic Games. The large majority of winter sports holidaymakers stick to downhill ski or snowboard, perhaps venturing into a park occasionally to try some jumps and rails. But there is much more to enjoy in the mountains during the winter months. Cross-country skiing, for example, is excellent exercise and takes you to parts of the mountain landscape that are otherwise inaccessible. 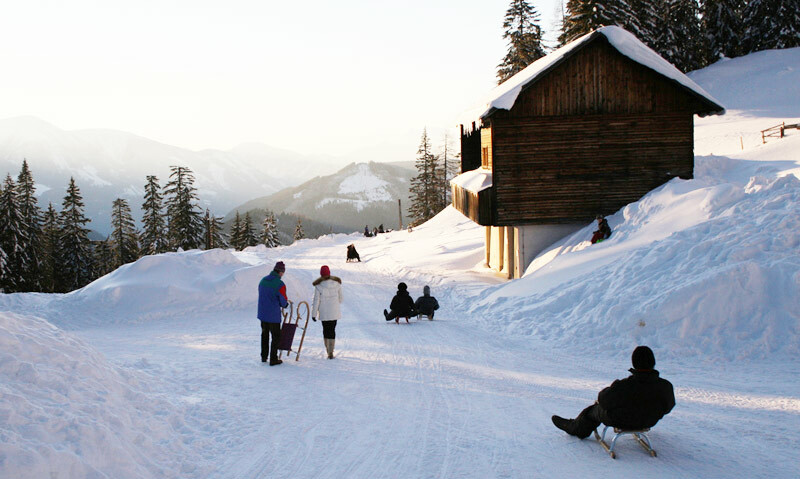 Most resorts and alpine towns also have a variety of tobogganing runs, many of which are several kilometres long. And remember, some people consider Après Ski an endurance activity of its own! Find out more about our Language PLUS courses. Image credits: IH Whistler, Banff: Pascal, Cardrona: Jordan Sim, Gulmarg: acidka, Skiwelt Wilder Kaiser: Alex Hammond, 3 Valleés: Michiel Mobach, tobogganing in Austria: Alex Barth via CC.